Certain minerals are important to a heart-healthy diet. Make sure they're included in yours. 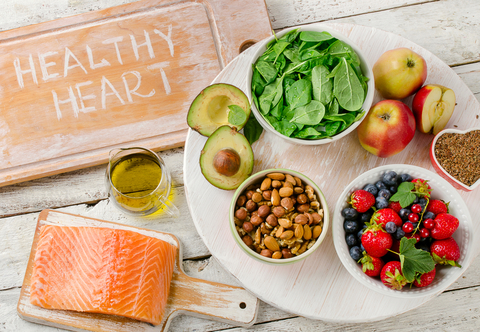 Vegetables and fruits (including berries), nuts, seeds, avocado, olive oil, fish—all are part of a heart-healthy diet. Take this to heart: The Centers for Disease Control and Prevention warns that heart disease is the leading cause of death in both men and women in the U.S. Luckily, lifestyle factors such as weight management, regular physical activity, and a good heart-healthy diet plan can help to prevent and manage heart disease. Whether you want to prevent heart disease or manage it, a good heart-healthy diet plan features a variety of plant-based whole foods, including vegetables, fruits, nuts, seeds, legumes, and unrefined whole grains. These foods are excellent sources of fiber; they’re also rich in vitamins, minerals, phytonutrients, and protective antioxidants. Heart-healthy fats like avocado and omega-3 rich fish lower triglycerides and counter inflammation. Limit red meat as it is a major source of saturated fat. Avoid processed foods as much as possible; they’re filled with sugar, sodium, saturated fat, and trans-fats. According to the National Heart, Lung and Blood Institute, when it comes to nutrients, we need certain minerals for optimal heart health, including magnesium, calcium and potassium—all available in mineral-rich foods. These minerals are also called electrolytes and have important jobs—they regulate your nerve and muscle functioning, your body’s hydration, and your blood pressure, and they help to rebuild damaged tissue. 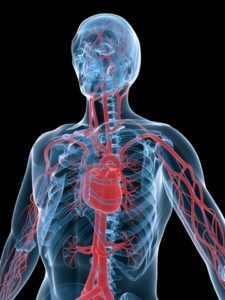 Did you know your heart is part of an electrical system (cardiac conduction system)? Your heart, muscles, and nerve cells use electrolytes to help maintain “voltages,” and they carry electrical impulses to other cells in your body. Here are some heart-healthy diet tips to help support your heart’s electrical power. Here are two examples of daily meal plans to help steer your diet toward heart health. Calcium isn’t just for your bones. When people think about calcium, they’re usually quick to associate it with bone health. However, it’s also good for your heart. It can help you manage your weight and regulate blood pressure along with magnesium and potassium (below). Good sources of calcium include yogurt, kefir and low-fat dairy products, collard greens, organic tempeh, and sardines and salmon with bones. A dietary supplement might be required for individuals with calcium deficiency—always check with your physician. Magnesium is magnificent. Magnesium is involved in more than 300 biochemical reactions in your body. It affects everything from your heartbeat to your hormones. It helps you make new proteins and helps keep your muscles and nerves healthy. Magnesium has the ability to balance out excess calcium, which is associated with heart attacks. It can also help reduce the risk of type 2 diabetes. Magnesium deficiency is not uncommon. A National Health and Nutrition Examination Survey (NHANES) found that at least half of the U.S. population had inadequate intake of the mineral. Magnesium deficiency is associated with high blood pressure and heart disease. Worthy sources of magnesium include spinach, Swiss chard, peas, organic tempeh, whole grains, pumpkin seeds and salmon. Like calcium, supplementation might be required for some, especially since cooked foods lose a lot of their magnesium. Once again, check with your doctor. Make potassium paramount. Potassium is involved in your heartbeat, and it helps to regulate your blood pressure. It also prompts your heart to squeeze blood through your body. Furthermore, it helps your muscles to move and your nerves to work effectively. You can get a lot of your intake from fruits and vegetables. Pour water in a pot and bring to a simmer. Add nori paper and simmer for 5 minutes. Place 3 tablespoons of miso paste into a small bowl with a 1/4 cup hot water and whisk until smooth. Add miso mixture to pot and stir well. Add greens, tempeh, onion, and soup to pot and cook for 5 minutes. Add dash of tamari sauce or coconut sap sauce. Serve soup warm. In a large mixing bowl, combine squash, olive oil, salt and garlic. Mix until well combined. Place the squash in a single layer on the prepared baking sheet. Lightly spray sliced squash with olive oil spray for a crunchy texture. Bake for 5 minutes. Remove from oven and flip each slice. Lightly spray with olive oil spray and bake for another 5-8 minutes, or until chips are crisp and golden brown. Allow to cool. 2 diabetes, add, antioxidants, best diet, blood pressure, bone, bone health, breakfast, calcium, calcium deficiency, cardiac diet, cardiovascular, cardiovascular disease, cauliflower, cholesterol, cholesterol high, dairy, diabetes, diet, diet tips, fiber, food, garlic, health, health and nutrition, healthy diet, healthy diet plan, healthy diet tips, healthy fats, heart attacks, heart disease, heart health, heart healthy, heart healthy diet, high blood pressure, high blood pressure and, high blood pressure and heart, high cholesterol, hydration, inflammation, kale, low fat dairy, lower triglycerides, magnesium, magnesium deficiency, muscle, nutrients, nutrition, nuts, obesity, omega 3, organic, physical activity, phytonutrients, portion control, potassium, potassium benefits, potassium deficiency, processed foods, recipe, report, sources of calcium, sources of fiber, spinach, sugar, supplement, the best diet, Triglycerides, type 2 diabetes, vegetables, vitamins, vitamins minerals, weight management, whole grain, whole grains, yogurt, your bones. I’m eating gluten free. Is that a problem?